Renault Scenic's styling features a blend of fluid and taut lines. Its dynamic appeal is underlined by its three-part grille which, like that of Renault Mégane Coupé, is based on a central air-intake incorporating a smart black crossbar, flanked by two scoops picked out by satin-finish chrome trim. The lines of these scoops carry over to the headlamps to give Renault Scenic's front end undeniable personality. The flame-effect line beneath the headlights continues in the form of the character line which sweeps rearward to further emphasize the styling's dynamic look, a feeling which is reinforced by the plunging roofline and steeply-raked rear screen. 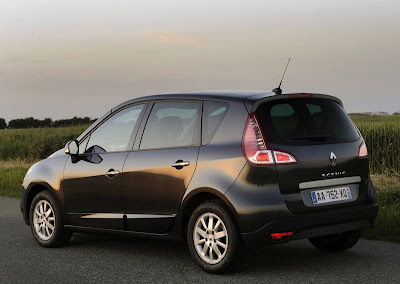 The two-part 'boomerang'-shaped rear lights are similar to those of new Renault Grand Scenic. 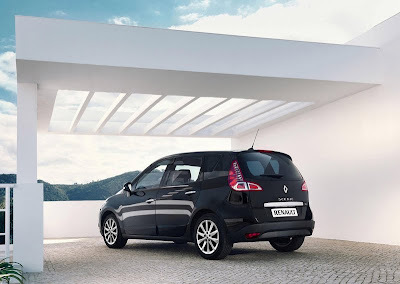 However, instead of sweeping forward, they are turned inward towards the boot, a detail which is exclusive to Renault Scenic. 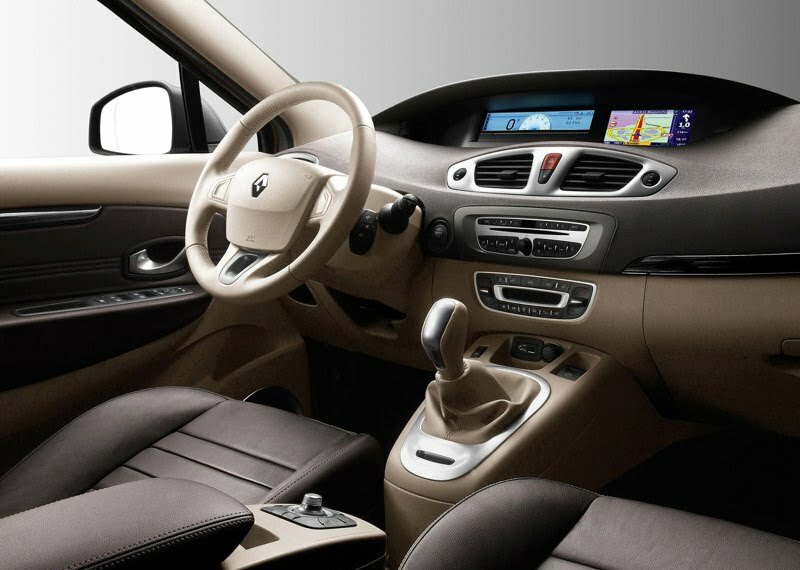 Renault Scenic exudes an unmistakable impression of robustness which is expressed by the curves of its front wings and its rear flanks. 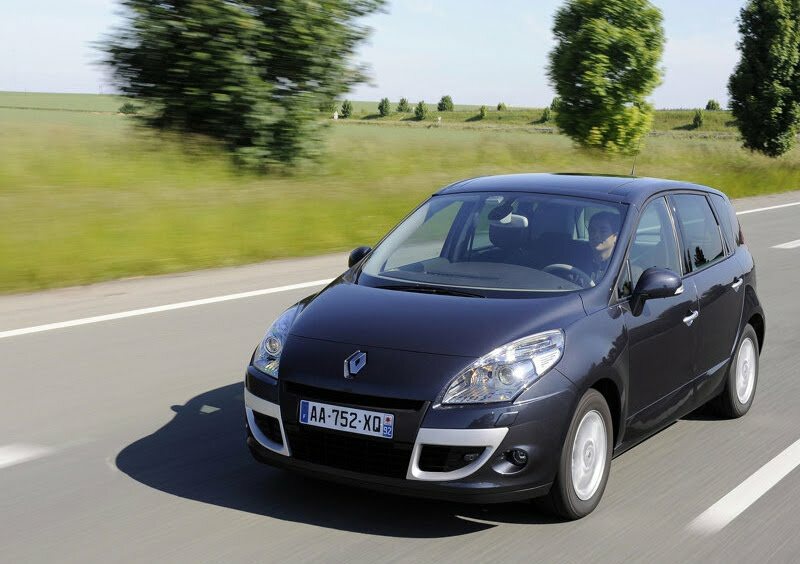 Wide front and rear tracks (1,545mm front; 1,547mm rear) ensure that Renault Scenic sits squarely on the road with its inherent stability. Its proportions, beltline and large door panels also convey a reassuring protective feel.